‘Tis the season for holiday parties and benefit concerts. Last night I found myself with the following options: (1) the firm’s holiday party, (2) the ward Christmas party, and (3) a benefit concert of the NIH Philharmonia. The concert by far seemed like the most fun, and it was the only one with a firm starting time, so I decided to go to the concert and swing by the other parties afterwards (which, let’s face it, was just a passive aggressive way of ditching the parties). Turns out Amy was right. 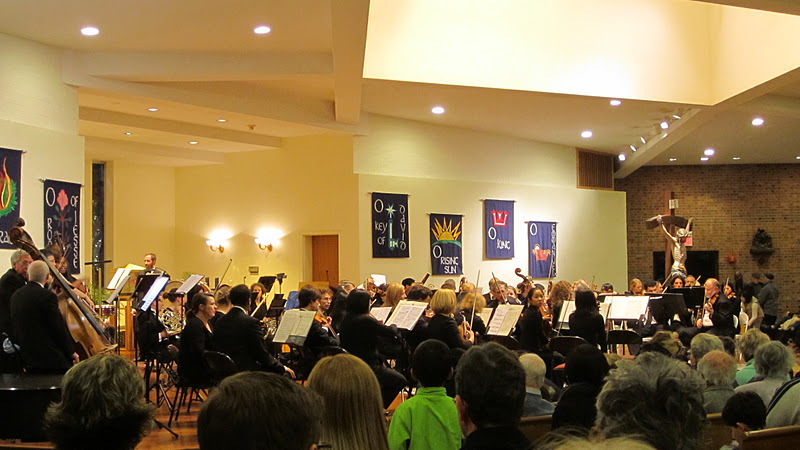 The three pieces were all difficult and, with the exception of a few squirly horns who could never quite land their notes, the orchestra sounded great. The Brahms, in particular, is very lovely. Clara Schumann described the third movement as a “pearl dipped in tears.” It was a pleasure to hear it live. 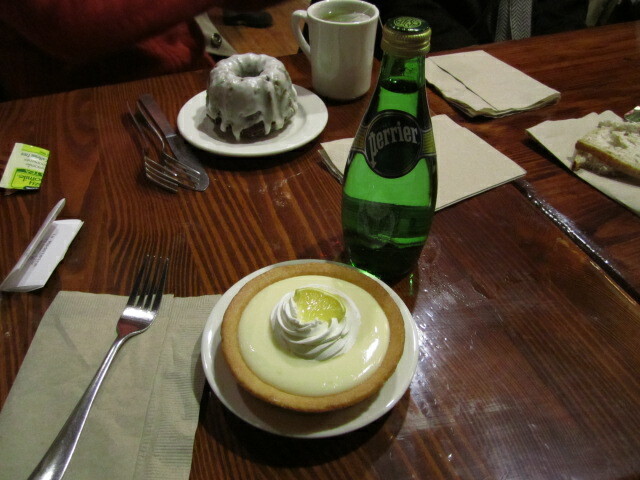 Of course, no evening out is complete without food. The concert was out in Rockville, Maryland (a.k.a., halfway to Canada), so Amy and I took the opportunity to find a new restaurant. 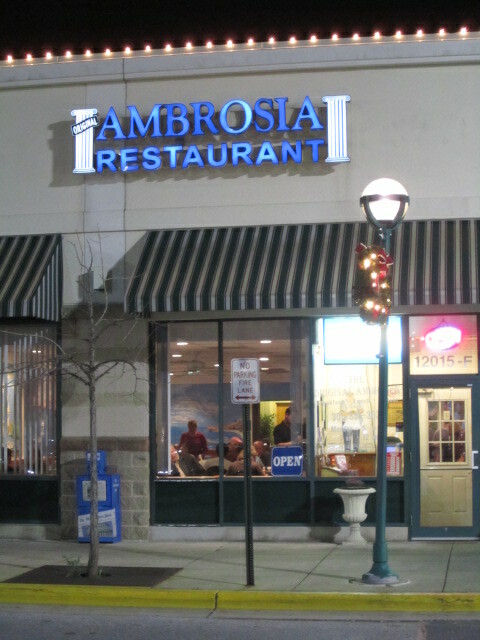 We picked a Greek place called the Original Ambrosia. I got a lamb stew with potatoes and… (drum roll) baclava! The place was packed and the food delicious.